Dedicated to building responsive websites and engaging applications to take your business to the next level, we are proud that our expertise has been recognized as next level abilities. 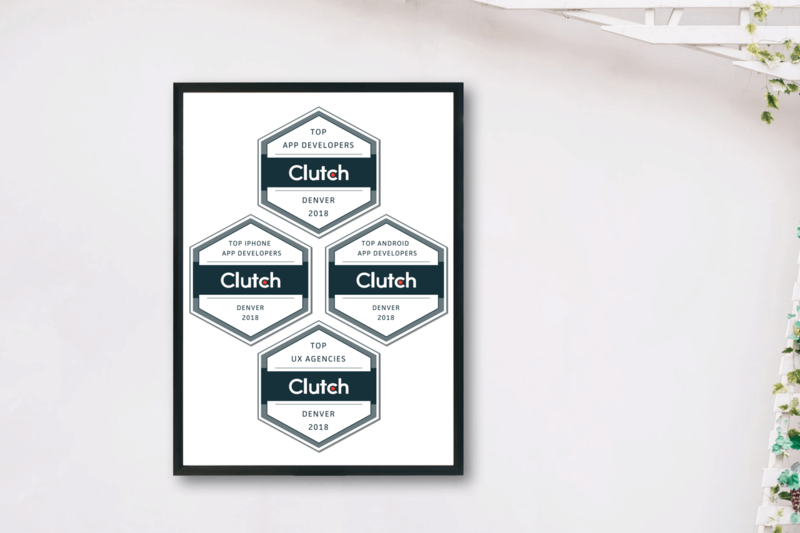 After close analysis, Clutch has identified Think Tree as a development maven with our accreditation of being among their list of the top app developers in Denver, top iPhone app developers in Denver, top Android app developers in Denver, and top user experiences agencies in Denver. But our prowess extends beyond one platform as Think Three was also evaluated by Clutch’s sister website, The Manifest, as among the leaders of Denver’s Top App Developers for 2018. Companies featured on Clutch identified as top performers are evaluated on numerous qualitative and quantitative factors, including market presence and client feedback. The B2B research, ratings, and reviews firm provides these in-depth insights to aid buyers looking for service providers. Clutch research is coupled with independently conducted reviews where former clients have provided their feedback and positive comments. We are proud to receive fives across the board from our cherished clients and thank them for contributing their insights of our work. Being included as top performers in a competitive industry is an accreditation that speaks to our drive to combine beauty and function that excites and engages. 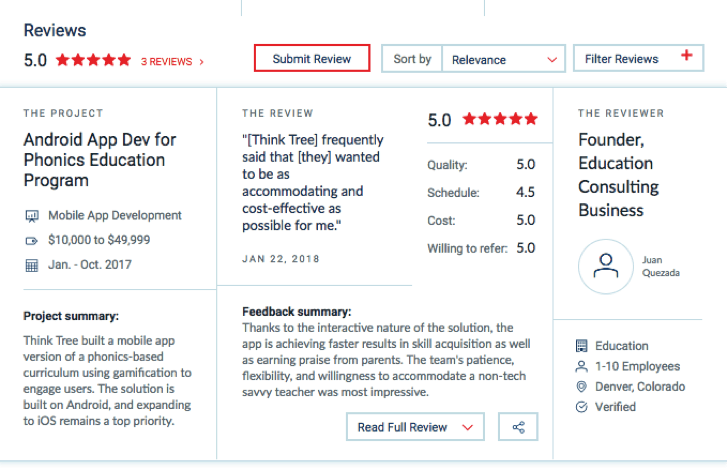 The full reviews are available on our five-star profile and please explore our work to learn how we can transform your ideas and passions into elegant applications and responsive websites.